Jacksonville-based LandSouth Construction has broken ground on Addison Pointe, an apartment community in Melbourne. Designed by Charlan, Brock & Associates, the four story, wood frame, apartment community is located on Delaney Steer at the corner of North Wickham Road and Parkway Drive, across from Wickham Park. 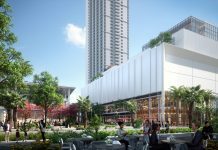 The 362,245-sq.-ft. project is being developed Lake Mary-based Integra Land Co. Nestled on 30 acres, Addison Pointe will offer 370 residences in eight buildings. With six floor plans ranging from 704 to 1,409 sq. 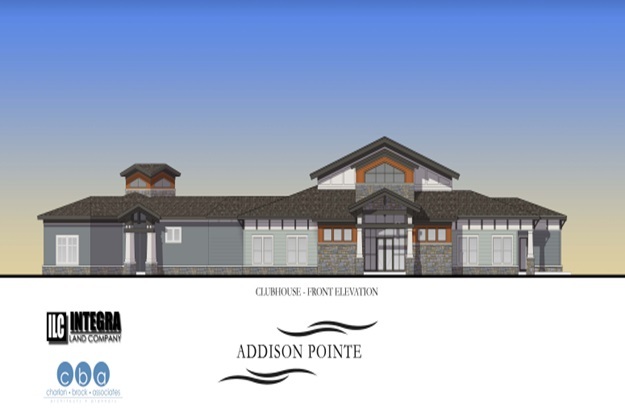 ft., Addison Pointe will feature one, two and three-bedroom apartment homes. LandSouth is currently working on apartments, senior living and mixed-use developments throughout the Southeast region including Charlotte (N.C.), North Augusta and Charleston, (S.C.), Gainesville, Boca Raton, Tampa, Bradenton, Kissimmee, Jacksonville, Boynton Beach, Delray Beach, Sanford, ChampionsGate, Winter Springs, Port St. Lucie, Melbourne and Orlando, Chattanooga and Hixon, (Tenn.), and senior living developments in New Port Richey, and Ponte Vedra.